All Around is Florida-based worship leader Angelique Marketon's debut release and it tells the story of a redeeming God who gives us a new hope and future despite our pasts, ever surrounding us with love and affirmation. For Angelique, worship has always been something that draws her closer to God and her heart is to lead people closer into His presence where they can let go and experience the freedom and hope found in Him. She shares, "There are so many who are lost, broken and empty, needing to know that the love of the Father is their answer and when broken hearts experience that, honor praise and worship overflow back to God." One of the standouts is the album's first single, "Child of the King," which boldly proclaims our identity in Christ and praises Him for His incredible love. Others include "You Are There" which speaks of God's omniscience and presence and "Your Love Makes Me Sing" which rejoices in His love. 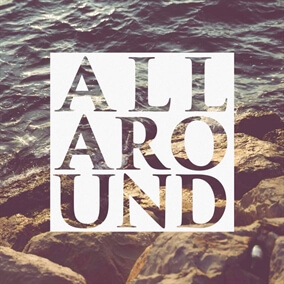 All Around is now available on iTunes and we encourage you to check out the entire album. Download your copy today!